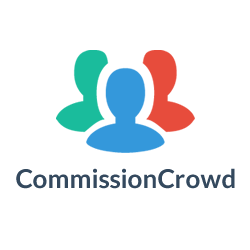 CommissionCrowd is 100% FREE for self-employed sales professionals! Earn Fantastic Recurring Commissions Selling Porosity Characterisation Analysis (Material Testing) to New Markets. Generous Comms Paid for Referrals! Blue Kite Insight: Help Businesses in your Network Optimise their Marketing Campaigns with an Innovative Neuromarketing Research Agency! Greats Comms on Deal Values ($50k - $100k+)!!! GTB Castle: Sell Top of the Range Centrifuges for one of the UK's Leading Providers to Governmental/Medical/Educational Institutes in your Network! A Brilliant Opportunity to Sell Professionally Surveyed & Analysed Subject Insights to Government & Non-Government Organisations in your Network! Generous Commission on Offer!!! We are looking for agents to promote our R&D tax relief services and make warm introductions for our internal sales team.